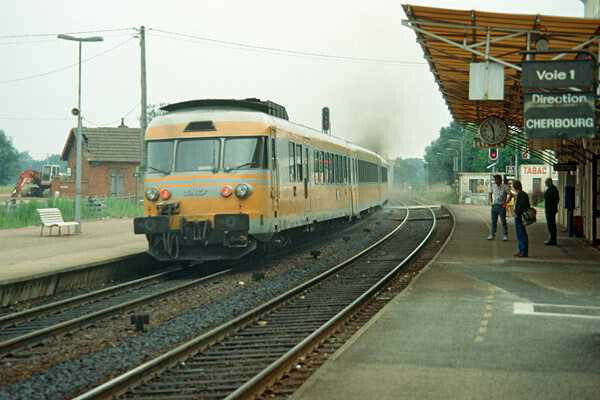 morning, and began my journey. 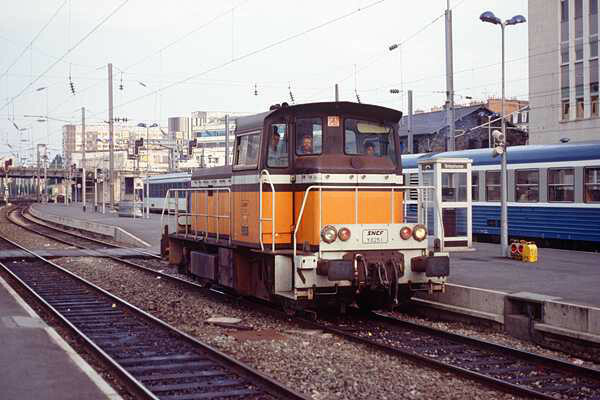 Firstly, a diesel-hauled (loco no. 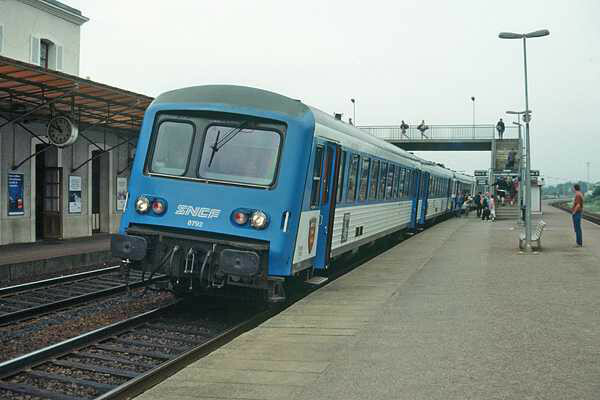 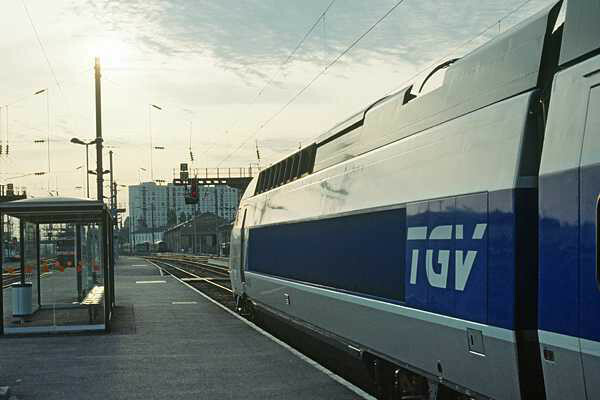 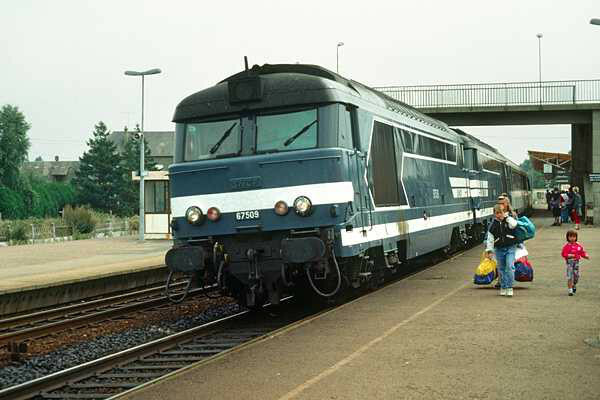 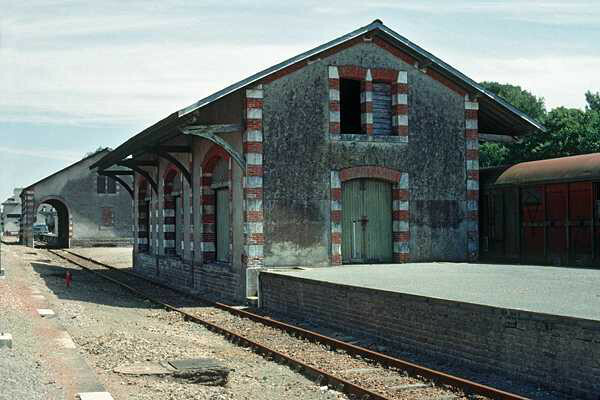 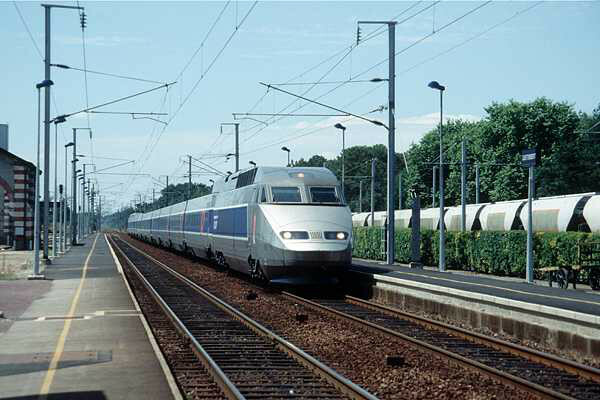 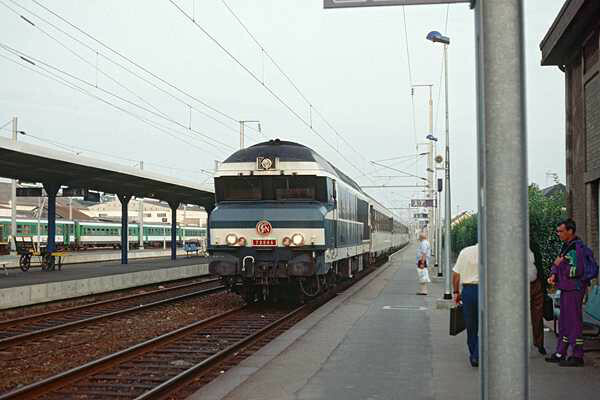 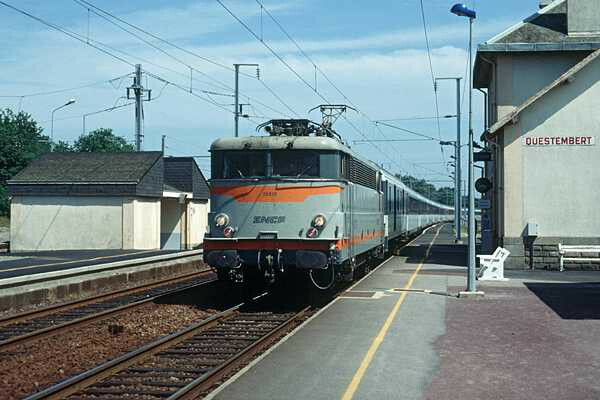 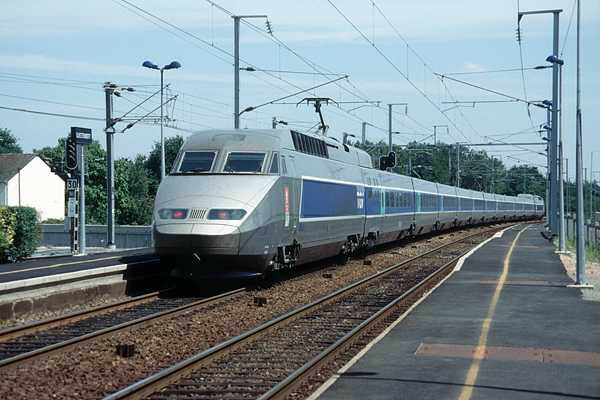 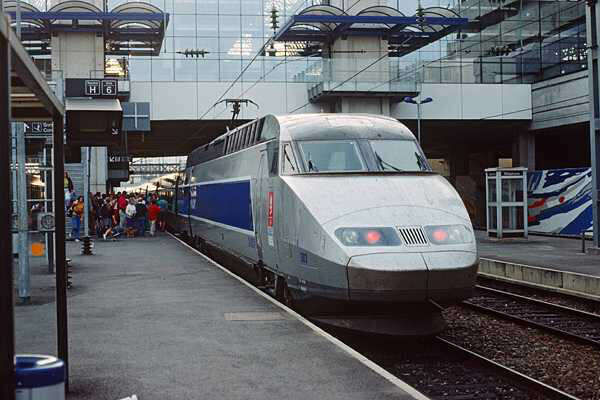 72066) train to Rennes (and the chance of a few photos), thence by DMU via such places as Dol-de- Bretagne, Avranches, Countances and St Lô to Lison, on the main line from Paris to Cherbourg. 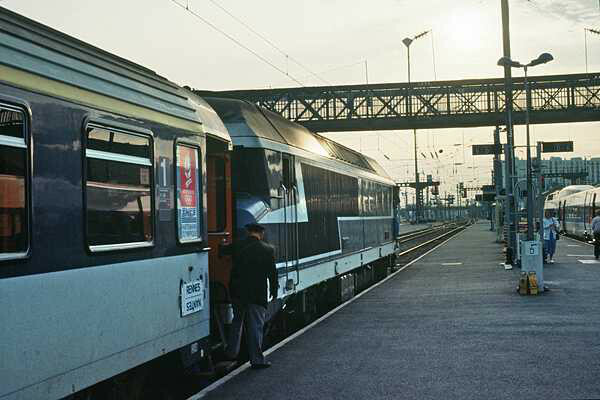 I should mention that the DMU was a most comfortable vehicle, with bay-type seating offering plenty of leg-room, and windows arranged so that the passenger can watch the very pleasant scenery pass by. 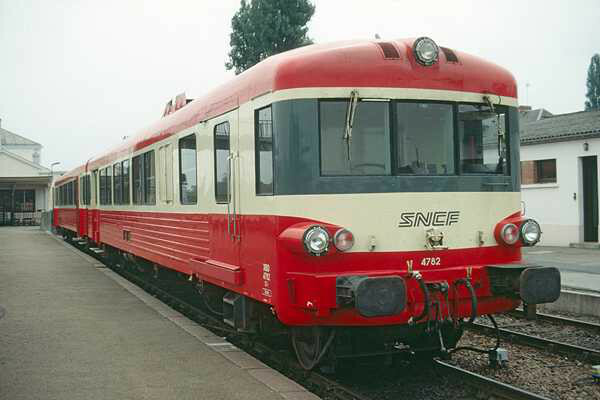 While lacking the acceleration of a modern British unit, this was clearly design by railwayman rather than accountant... 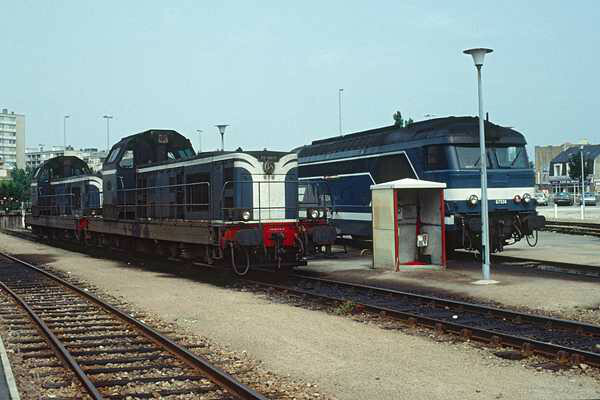 I had plenty of time at Lison to photograph a few passing trains, including the gas-turbine powered unit which hurtled through, and to grab a drink at the nearby cafe, before boarding my Cherbourg train, once again diesel-hauled, this time by a pair of locomotives, led by no. 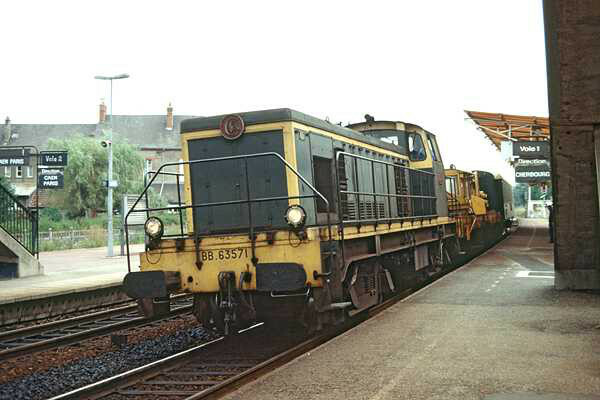 67509 (the line has since been electrified). 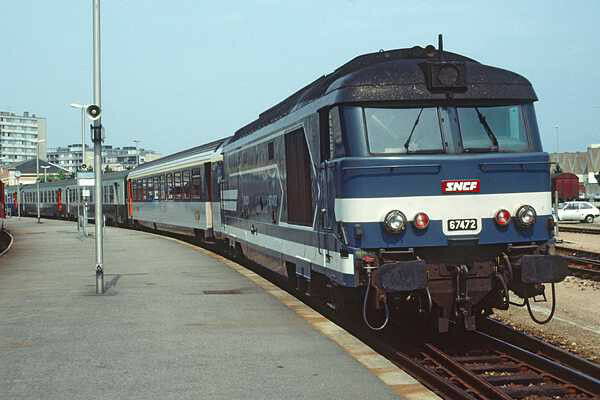 On arrival at Cherbourg, I grabbed one or two more photographs before walking to the ferry (I had plenty of time) for the journey back to Portsmouth.